Mir Hadi Ghareh Seyed romiani an MP and member of the judiciary & legal Commission of the parliament reported that ; 70 MP has prepared a petition to stop the death sentence for drug smugglers. If this petition approved in parliament , and if the judiciary and Government consent to this changes then the death sentence for heavy drug smugglers will change to life prison sentence. Alahyar Malekshahi another MP and the head of Judiciary and legal commission said: The laws in this regard needs for reform . This MP also added that, to remove the death sentence for drug smugglers needs the national consent . 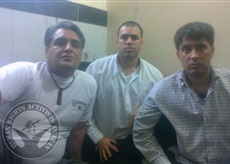 This news is coming while just today three drug smugglers at Parsilon prison in the city of Khoram Abad were executed . According to news , Navid Aghdasi an Iranian Bahai citizen of the city of Bandar Abbas was arrested on November 15 ,2015 by the Ministry of Intelligence agents at his home and is detained in a solitary confinement in Evin prison. Navid is still in ward number 209 in Evin prison under the supervision of Ministry of intelligence agents and no one knows about his situation. Navid Aghdasi was following to the killing of Ataollah Rezvani a Bahai leader in Bandar Abbas city and organized an event to commemorate his life ,when arrested . Mr. Rezvani was killed two years ago in Bandar Abbas by unknown suspects. 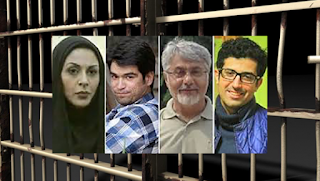 Not all those arrested Journalists or civil rights or human rights activists are being arrested or detained by Sepah ( the revolutionary guards in Evin prison) but Ministry of Intelligence also detains human rights activists or journalists and particularly the Bahai's citizens . The Ministry of Intelligence is under the Government of President Hassan Rohani and he is responsible for all these human rights violation and one day he must respond to the peoples court of justice. 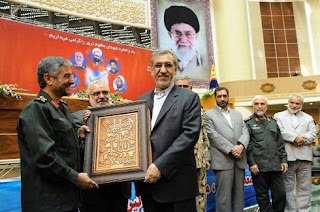 This picture which is posted on Peyknet website showing Mahmoud Khavari receiving an award for Aziz Jafari the commander of Sepah ( revolutionary Guard) for his service to the Islamic regime in Iran. Mahmoud Khavari an opportunist and a one time servant of the regime left Iran to Canada during corruption investigation in Iran . Mahmoud Khavari's family live here in Canada . Canada must investigate independently these type of people/ one time an official of the regime- coming to Canada and to see whether they have committed any human rights violations while serving the Islamic regime in Iran. Canada must also prevent those corrupted officials of the other country who are fleeing their countries. 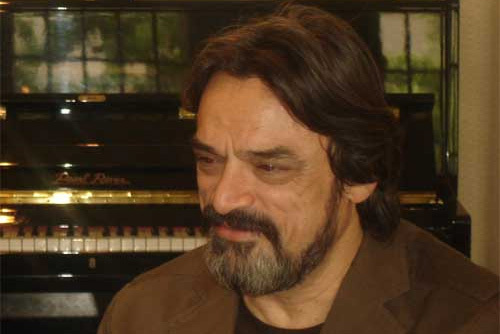 Prominent Iranian Musician Hossein Alizadeh : If I Say Something , I'll go to Jail ………… President Rohani's Key Didn't Solve Music Problems….. Nowhere in the world , or even not in any Government , even those we politically reject them , don't act against music like what they do it here !
" 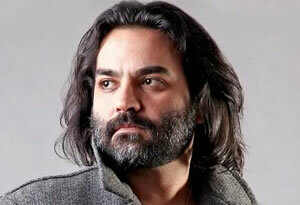 I Hossein Alizadeh have born in Tehran's Bazar and i have worked with musical expert even the world is proud of them. I don't allow any one to take away my identity . Unfortunately nowhere in the world act against the music like what they do it here. the officials easily insult against music and musician ,while if i say something i will go to jail. " According to a report by ILNA newspaper Mr. Alizadeh who was attending on gathering about his new concert made these comments . Official musician supported by regime have all kind of support and are very loud but independent musician are silent . 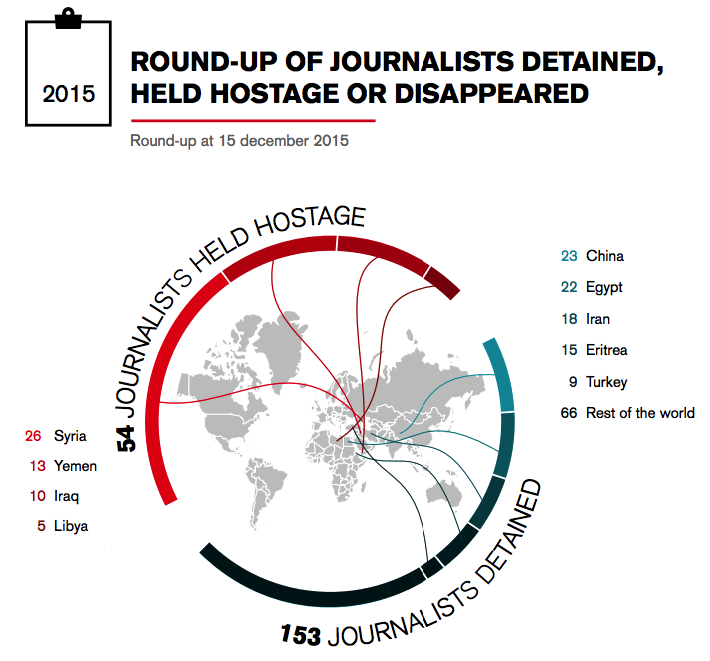 A total of 54 journalists are currently being held hostage worldwide, versus 40 this time last year - a 35% increase. RSF’s work is essential if things are to change. 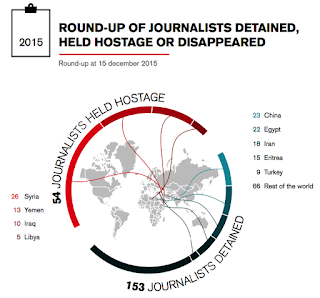 RSF makes sure that these journalists are not forgotten. It ensures that pressure does not let up until they are freed. It pushes for changes to the legal framework, such as Resolution 2222 on the protection of journalists in armed conflicts, which the UN Security Council adopted this year and was based on an RSF proposal. Give us the means to continue our fight. Make a donation to RSF. Every Pen That Trys To Weaken The " Velayate Faghih " ( The Leader Of The Islamic Regime ) Is A Traitor …..
"Today we must find out the foot print of the enemies in their penetrations of cultural politics through their films they make , their novels they translate or those journalists who writes in their newspapers." In recent months regime had assaulted , arrested and detained journalists ,writers , film makers and musician for the so called western cultural politics of the west and has called them as western spies . How can the head of the judiciary be not biased while he asks all journalists, film makers and writers not to weaken the leaders position. Instead of carrying justice in the country ,he promote corruption and mercenaries with his management of the ministry of justice. He create discrimination . 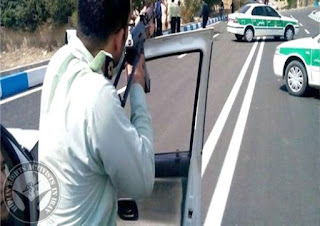 People of Shahroie Village- Around Behbehan City Were Gunned Down By Islamic Regime Forces !!!?? Tension Between People and The Regime Around Behbehan City ! 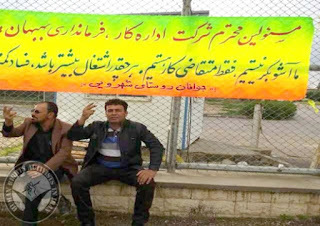 According to news , On Tuesday evening people of Shahroie village around the Behbehan City on their protest against regime's employment policy for an oil refinery , staged a protest and closed the road between Behbehan and Ramhormoz . Regime forces attended at the location and clashes erupted between protesters and the regime forces which resulted of one death and two wounded from protesters side. Regime officials believe protesters started shooting at them. (Beirut, December 17, 2015) – The Iranian authorities should approve proposed drug law amendments to end the use of the death penalty for all nonviolent drug offenses, Human Rights Watch said today. The authorities should also investigate and bring to justice those responsible for abuses of prisoners held on drug charges. In phone interviews in March and November 2015, with eight prisoners on death row or awaiting sentencing on drug-related charges that carry the death penalty, Human Rights Watch documented serious due process and other violations. The interviewees are among more than 2,000 people held in a unit of Ghezel Hesar prison, most of whom have been sentenced to death on drug charges. Court-appointed lawyers are not allowed to be present during interrogations or to meet privately with their clients, the prisoners said. During court hearings, defense lawyers are only allowed to submit written statements, rather than to present oral arguments. 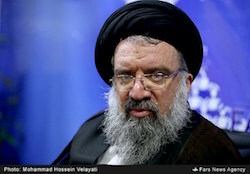 The semi-official Iranian news agency, ISNA, reported that Mir-Hadi Gharaseyyed Romiani, a member of parliament, announced on December 8 that he and other members had submitted a proposal to eliminate the death penalty for drug offenses, except for armed smuggling. Romiani also told the parliament’s official news agency, the Islamic Consultative Assembly News Agency, that more than 70 members of the 290-seat body had signed onto the plan. The parliament’s Legal and Judicial Committee will review the proposed plan before it can move forward. Iran’s anti-drug law, under amendments that went into effect in 2011, expanded the offenses that could carry the death penalty, including possession of more than 30 grams of synthetic drugs like methamphetamines. Previously, the law mandated the death penalty for trafficking, possession, or trade of more than five kilograms of opium; 30 grams of heroin or morphine; repeated offenses involving smaller amounts; or the manufacture of more than 50 grams of synthetic drugs. The law also allows for corporal punishment in the case of less serious drug crimes. According to the October 2015 report of the United Nations special rapporteur on human rights in Iran, at least 69 percent of executions during the first six months of 2015 were for drug-related offenses. Iran executed at least 830 people between January 1 and November 1. Under article 6(2) of the International Covenant on Civil and Political Rights, which Iran has ratified, in states that still retain capital punishment, the death penalty may be applied only for the “most serious crimes.” The UN Human Rights Committee, which interprets the covenant, has said that drug offenses do not constitute “most serious crimes,” and that the use of the death penalty for such crimes violates international law. 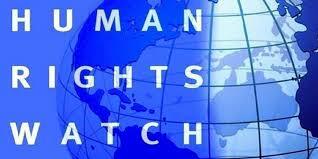 Human Rights Watch opposes capital punishment in all circumstances because it is inherently irreversible and inhumane. For prisoners’ accounts of their treatment, please see below. I’ve been in temporary detention for five years now, in a legal limbo. It’s me and eight other defendants in this case and none of us were somewhere where there were drugs. None of us have a criminal record either. One day a few friends and I went to see a place in Karaj. We were there about an hour and a half. I’m in construction work, so we’d gone to see this building to figure out if we could renovate it. Then some officers bust in and told us “Stop! Stop! Lay on the ground!” Then they handcuffed us. I asked, “What are you doing?” They told us that someone had died there and they wanted to ask if we knew the person. I said, “This is the first time I’ve been in this area; how I am I supposed to identify the dead person?” They said, “We’ll take you to another house and you’ll figure everything out there.” Then they just transferred us straight to the drug units and we’ve been here five years. No matter how much we protest that there “is no [drug issue involved],” they say “Yes, there is.” They never even showed us IDs or a warrant when they arrested us. But I am innocent. Those drugs were not mine. I said so from the first day and fingerprinted my statement. But they still say I am involved in drugs. I am not alone. I have a wife and a kid on the outside. A mother and a sister. If it were just me alone in prison, I would have hanged myself. I wouldn’t have let them take me to the hanging scaffold. It’s easy, I would just pour some meth in water and drink it all up. A lot of people have been doing that lately in the prisons. I can say about five to six people a month are dying in prison like this. Whenever people kill themselves like this the authorities say it was just an addict who died from withdrawal. I don’t have a criminal record. They didn’t even find one gram of drugs on me. I’m just here based on the confessions of some other guy who was accused. In 2012, I was just sitting in my store and they came and arrested me. I’m not saying I’m innocent. Let’s say I am guilty. But I never sold anything to the guy who accused me in his confession. In this unit of Ghazal Hesar alone there are 2,000 inmates and they are all on death row, for anything from [possessing] 100 grams to 100 kilograms…. While the guy with the drugs on him just gets charged with possession – just possession of like, five kilograms of meth. They ask the guy they’ve arrested, “Who did you get this from?” and then they come after a guy like me. The first week we were just beaten. I was not even asked one question. The second week they told us we had to sign something. I said, “How can I sign? I haven’t done anything.” They said, “No, it seems like you still haven’t understood.” Just like that. It was all beatings and insults. So I finally just fingerprinted a statement they gave me and that is how I ended up with the death penalty later on. He said that the interrogator told him he was free to go but that officials instead took him to court the next day and added his name to a list of defendants in a drug case. For 20 days, the people from the Department for Combating Drugs beat us day and night in some basement. Our families didn’t know where we were and they wouldn’t let us call... When we were in temporary detention we didn’t have contact with anyone. For three months I wasn’t allowed visits or telephone calls…. I didn’t confess. The interrogator said based on my own intuition, you are guilty. When they take you for questioning, they hit you all over with sticks and cables. They are not humans. During interrogation they would take us one by one blindfolded to some basement. First they would hit, then ask the question. They wouldn’t write down your answer but just write whatever they wanted and force you to fingerprint it. If you didn’t want to they would take your hand and make you do it…. According to news , Iranian petro-chemical workers at Oslouieh and Mahshahr are on protest for privatization and job security. According to news , today Monday more than 1500 petri chemical workers stopped their work and went on protest against the privatization and the future of their job and job security. 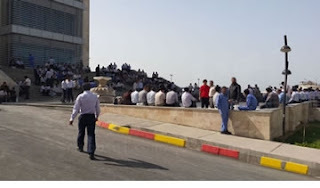 Free Union Workers reports that, six division of "Bandare Imam" workers who are working for Oil Ministry went on protest because of changes in their job situation and privatization. My brother Jason Rezaian is the Washington Post Teheran Bureau Chief and he has been unjustly incarcerated for more than 500 days in an Iranian prison for crimes he did not commit. He has been psychologically abused, physically mistreated, and deprived of due process of law. To call his trial a travesty of justice is an understatement. Since the beginning, Reporters Without Borders’s team has been supporting Jason and my efforts to obtain his release. RSF is always ready to help for whatever I need to obtain the release of my brother. Now I hope you will help me and support Jason Rezaian's release. RSF invited me to Washington, DC to raise public awareness about Jason’s fate, arranged meetings for me at the White House, the US Congress, the National Press Club, gathered prominent support for Jason from people like Noam Chomsky and Arianna Huffington. 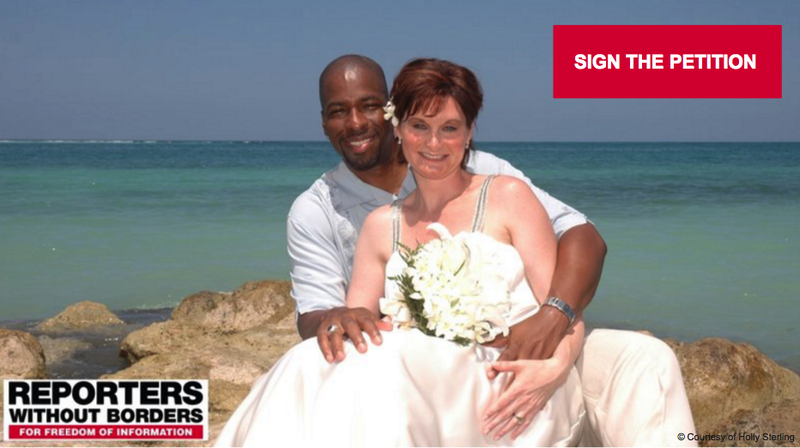 In the next 24 hours, support Reporters Without Borders and your donation will go to the Fund to Support Families. Thank you for your generosity and for your support to free Jason. Amnesty International invites you to attend a press conference for the launch of a new report The ‘iron fist policy’: Criminalization of peaceful dissent in Kuwait which will take place on Wednesday 16 December 2015 at the Kuwait Society for Human Rights. The report details the arrest, prosecution and imprisonment of perceived critics including human rights defenders, activists, journalists and lawyers for their peaceful exercise of freedom of expression, and provides an analysis of laws that criminalize peaceful dissent. 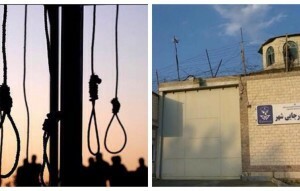 Execution Of Human Under Islamic Regime ……..It Seems This Regime Knows Nothing But To Kill…..
News coming from Iran indicate that, the Islamic regime in Iran today Sunday have transferred at least Seven prisoners to the solitary cells in Rejaei Shahr prison for execution . Iran ranks top in the world on the execution of people. We read from time to time or every year that the Islamic regime has hanged more than 800 to more than a thousand people , this is unacceptable . There are other ways to deal with the situation but Islamic regime chose the easy way out and this goes back to the short and not deep vision and understanding of those who run or manage the country . 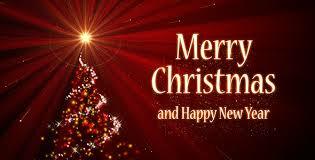 And i am deeply sadden with hearing or seeing this situation continues without any real change to the policy ……. New York Times journalist James Risen. Since then, Holly has fought for her husband's innocence. Obama for Jeffrey's immediate and full pardon. — to try to make a case to a jury who would likely favor his conviction. #pardonforjeffrey on Twitter, Instagram, and Facebook. If we can help to obtain Jeffrey's pardon, it will be thanks to you. This Clergy Seyed Ahmad Khatami …..Is A Friday Prayer Imam of Tehran….. He Believes; Those Who Organize The Music Concert Are Conspirators ……. Islamic regime and Music/Musician …….Women musician are banned to play on stage …. Women can't dance on stage …….Women can't watch sports game in stadiums …………..
Those who are trying to organize underground music concert are conspirators . This man is also a member of the assembly of expert ……….something like senate congress…..
IRAN WATCH CANADA: Person or persons like this clergy create or prepare an environment for the Sepah agents to make an assault and arrest or detain even the Iranian musician or artists who for the reason of fear displaying their music in an underground gatherings. 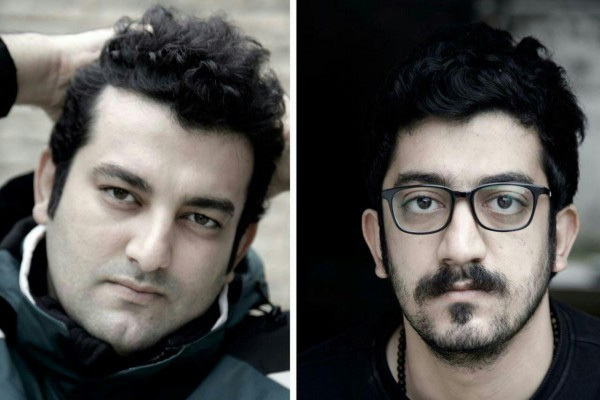 According to news , Mr. Mehdi Rajabiya a musician and founder of the website known as " Barge Mozik " ( Music Page) , Mr. Hossein Rajabiyan an independent film director and photographer, together with Yousef Etemadi musician, in the branch number 28 of the trial court which took a few minutes by a presiding judge known to all human rights organizations around the world and his name is " judge Moghiseh", each were sentenced to six years imprisonment . They were also condemned to pay a fine of 20 million Tuman each……. Their sentencing is based on the alleged charges for example five years imprisonment just for " insulting the faith sacred " and one year for allegedly "propagating against the regime". while we are living in 21st century ……. The European Court of Justice has rejected appeals by Mohammad Sarafraz, the head of Iranian national broadcaster Seda va Sima, and Hamid Reza Emadi, Press TV’s chief editor, to be removed from Europe’s blacklist for human rights violations. 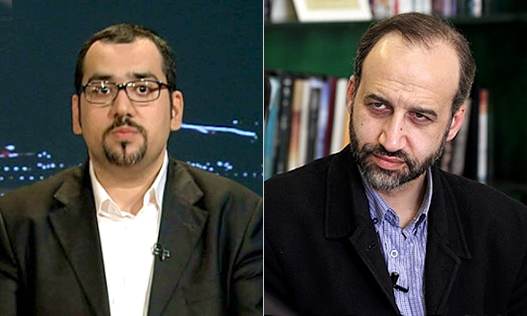 Justice For Iran reports that the court has determined that the two individuals remain in violation of human rights for “their role in broadcasting forced confessions of political prisoners”. The verdict means that Sarafraz and Emadi will continue to be barred from entering any EU country and all their accounts and assets in EU banks will remain frozen. Sarafraz had argued that the decision to blacklist him is “baseless and unfair”. 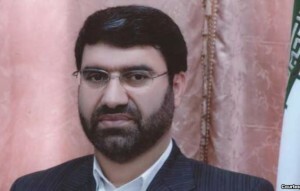 Prior to becoming the head of Seda va Sima, Sarafraz was in charge of Press TV, the international branch of Iran’s state broadcaster. Under his tenure, the confessions of a series of political prisoners, including those of a number of ethnic minorities, were aired on Press TV’s English-language program. Emadi is also responsible for airing an interview with Maziar Bahari, an Iranian-Canadian journalist detained in Iran. NEW ORLEANS, LA - On Saturday, December 12, thousands of people are expected to join Amnesty International USA’s Art for Amnesty for Art for Rights – a one-day, free, pop-up art event, in New Orleans, to bring attention to human rights abuses happening all over the world. Through a partnership with New Orleans artist Brandan "BMike" Odums, 12 artists will highlight the stories of 12 different human rights cases around the world through art and creative installations. Each artist will be creating a mural that represents a human rights case selected by Amnesty International, calling attention to issues such as prolonged solitary confinement, torture, forced marriage, forced eviction, imprisonment for a miscarriage, LGBTI rights, the death penalty, enforced disappearance and prisoners of conscience. One of the murals will feature Albert Woodfox, the Louisiana native who has been held in solitary confinement for more than 40 years. Alongside the murals, installations are also planned as well as programs featuring musical and spoken word performances, children’s activities and New Orleans style food trucks. Art for Rights is part of Amnesty’s Write for Rights campaign, which runs from December 4 - 18. 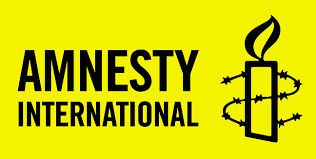 During that time hundreds of thousands of Amnesty International members and supporters around the world will send letters, emails and tweets supporting individuals who are facing human rights abuses. In 2014, hundreds of thousands of people in more than 200 countries and territories participated in Write for Rights, sending 3,245,565 messages offering support or calling for action on the cases of 12 individuals and communities experiencing human rights abuses. More than a million messages have been sent in support of jailed Saudi Arabian blogger Raif Badawi since the campaign first raised his case. This year, Raif Badawi’s lawyer, Waleed Abu al-Khair, is one of the 12 cases. If you would like to speak with any of the artists, AIUSA Executive Director Steven W. Hawkins or National Director of Art for Amnesty at Amnesty International USA, Marvin Bing, please contact Michele Setteducato at michele@fitzgibbonmedia.com or Kayla Keller at kayla@fitzgibbonmedia.com. Follow Art for Amnesty on Twitter, Instagram, Facebook and Tumblr. According to news Hossein Noush Abadi the spokesperson for the Ministry of Guidance and Culture warned those who colaborate or give add to the Iranian TV station outside Iran . He also warned about those satellite dishes . IRAN WATCH CANADA: Isn't this awful ? 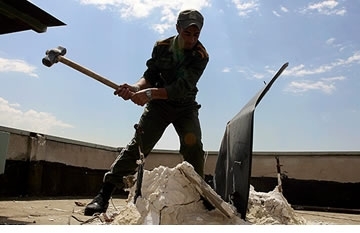 Iranian people under this Islamic Government Can't watch satellite channels …..And yet we call this Government a moderate one …come on …..you must be kidding me……. 90 Iranian journalists in and outside Iran in an open letter demanded for the immediate release of those four journalists arrested recently. The letter says that; the arrests of those journalists is illegal and the letter condemned the violation of those journalists rights by any organ and demanded for their immediate release. A Petition With Half A Million Signature For The Release Of Jaison Rezaeian The Iranian - American Journalist Who is Currently in a Prison in Iran….. According to German news DW on December 3,2015 , more than half a million signature is collected for the release of Iranian -American journalist Jaison Rezaeian who is currently in a prison in Iran. Jaison has already spent 500 days in prison. 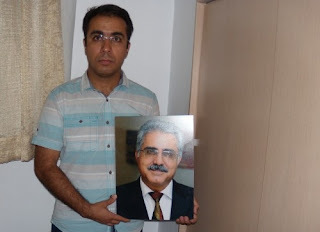 Jaison's brother Ali Rezaeian gave this petition to the Islamic regime's representative at UN . Ali Rezaeian said; We just want him to return to home . it has been too long for us and it looks like a marathon to us and we don't know when this marathon will end and what would be the result ….. According to news this petition is made of 10000 pages . Ali Rezaeian said, his brother is innocent and there is no record to show his brother is guilty of anything ,so he is in prison without any evidence against him. In a few minutes court session, judge Salavati sentenced him to 9 years imprisonment . In protest to this judges decision , he wrote a letter to the judiciary and officials of the Islamic regime in Iran and demanded this decision be revoked / dropped . "I have been teaching the children of this country for 25 years and more than 15 years i served the teachers in their teachers union." 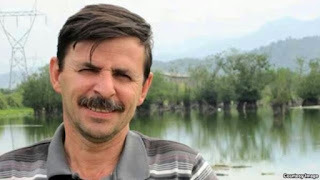 Mr. Langroudi warned the officials that anything happenes on him during this hunger strike in prison , will be the responsibility of the judiciary and officials. 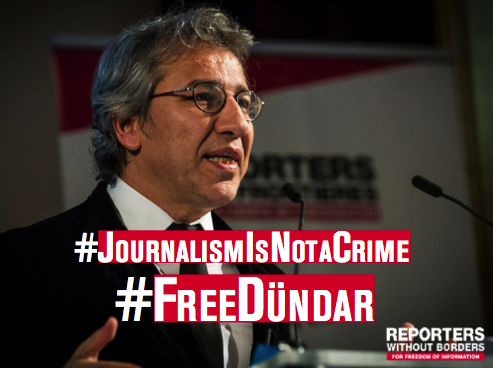 When Reporters Without Borders (RSF) awarded Can Dündar, the editor of the leading Turkish daily Cumhuriyet, its 2015 Press Freedom Prize on 17 November, he told us he feared that he might be arrested. This nightmare has come true. 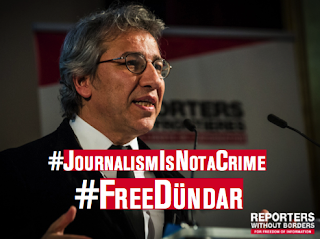 Dündar and his Ankara bureau chief, Erdem Gül, were jailed on the evening of 26 November. Why? Because they had revealed that the Turkish intelligence services had delivered arms to Islamist groups in Syria. They are now facing the possibility of life imprisonment on charges of spying and terrorism. Security Agents Arrested Another Poet on Monday ……. According to news from HRANA Yaghma Golroei a poet and song writer was arrested at his home on Monday by security agents. There are no news on his whereabout and no one claim responsibility about his arrest. Mr. Yaghma Golroei's book " I have a dream " was launched last year and record the highest sale .